Our gorgeous guest bedrooms are offered for exclusive use by you and your closest friends and family, giving you the perfect space to retreat to after your special day. 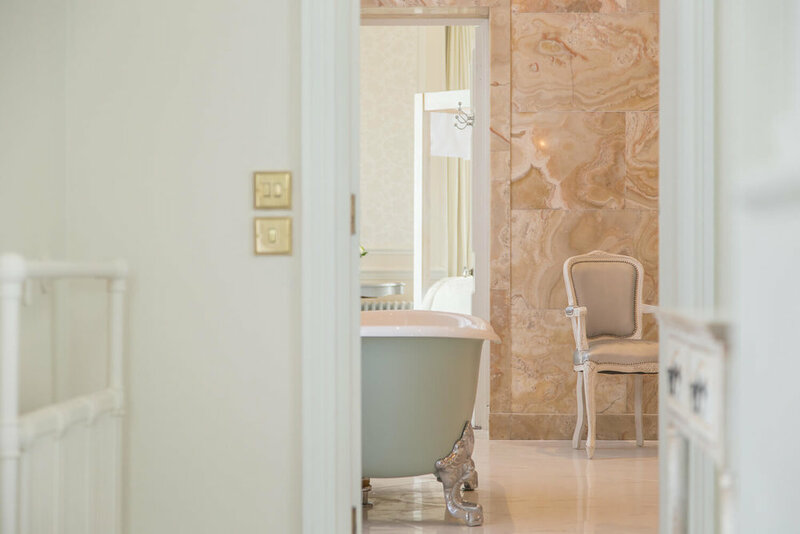 Each room has been designed with you and your guests’ needs in mind, from the romantic balcony in the Bridal Suite with its panoramic views of Hedsor Park, to the relaxing and luxurious interiors of the ten guest bedrooms. Climbing our stunning Grand Staircase, past the portraits of previous Royal residents and guests, you will make your way to your most incredible Bridal Suite. Our ten guest bedrooms, all located on the top floor of the house, all hug the outer peramater of the house and provide spectacular views across the estate. One of the largest and most luxurious Bridal Suites in Europe, it provides the ultimate space to enjoy your most special day together, offering so much more than most venues or hotels. 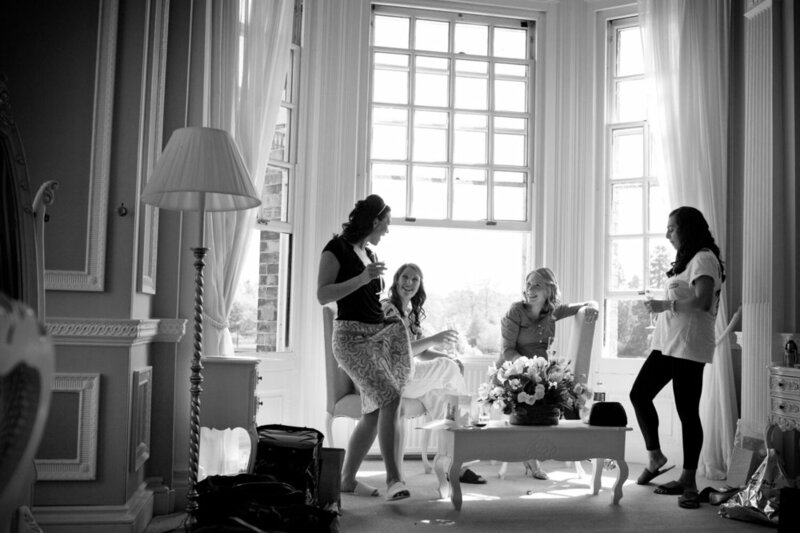 Panoramic, double aspect views across Hedsor Park fill the Bridal Suite with warmth and natural light. Soft ivory tones, plush furnishings and a luxurious handmade four poster bed ensure that our happy couple are able to completely relax in peace and comfort for their most special day and night. The Bridal Dressing Room has been designed specifically for you and your bridesmaids to have the most amazing morning getting ready. 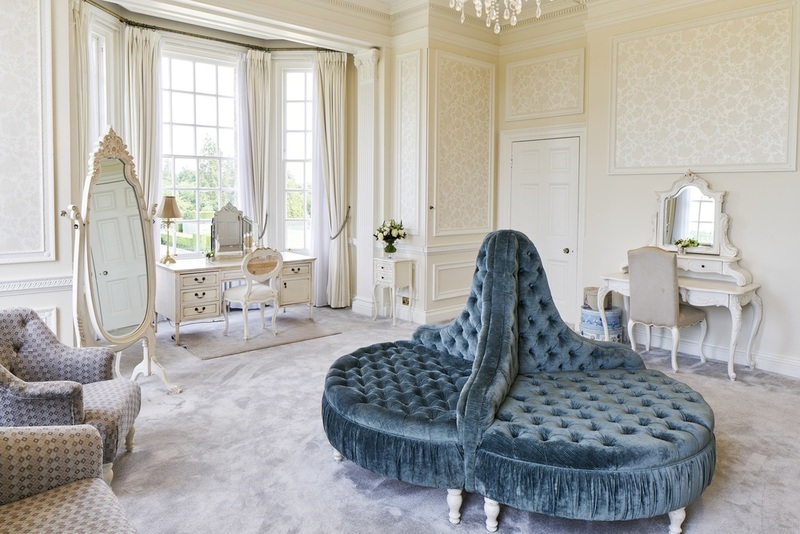 From the stunning chaise longue to huge mirrors, this room is a photographer's dream! 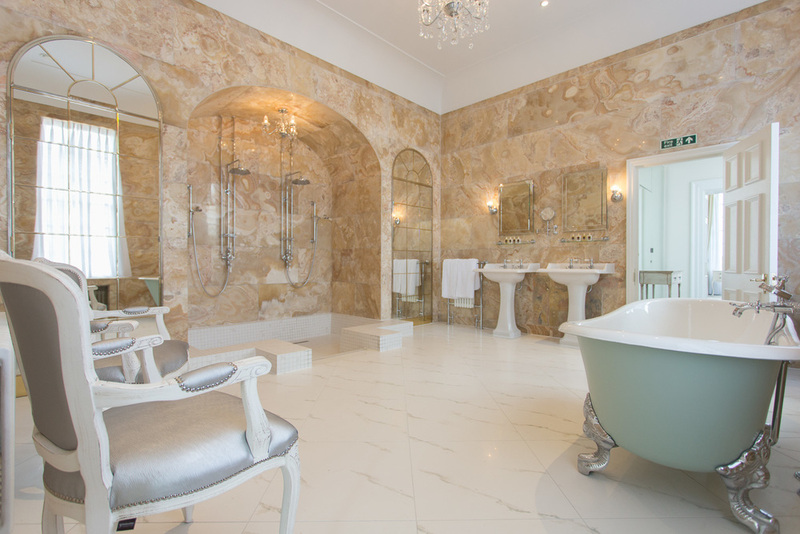 Restored period features reflect Hedsor House’s illustrious heritage and charm, like our original 1920’s bathroom, lined from floor to ceiling with luxurious onyx. It has to be seen to be believed! And in the morning, after a peaceful night’s stay in the glorious Buckinghamshire countryside, you and your nearest and dearest will come together once again in our beautiful Library to share breakfast together and recount all the highlights of the best day of your life! In addition to our luxury Bridal Suite we have ten further beautiful bedrooms, allowing for up to twenty of your closest family and friends to enjoy the truly romantic setting that is Hedsor House. Through the sash windows in every one of our beautiful bedrooms, your guests can admire and enjoy spectacular panoramic views of the beautiful Buckinghamshire countryside, not to mention the stunning park grounds of this exclusive location. All of our bedrooms are generously proportioned with comfortable double beds and stylish en-suite bathrooms, complete with beautifully tiled floors and luxurious Floris toiletries. Crisp white linens, stylish furniture and sleek fittings make sure that all Hedsor House’s guests have a wonderfully memorable stay. We hope we will be able to welcome you to experience our Bridal Suiteand guest bedrooms as part of your special day. 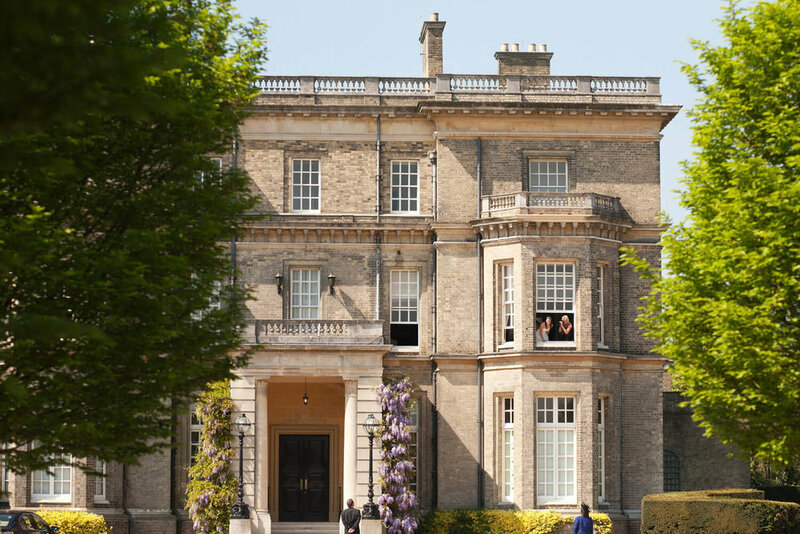 If you would like to visit Hedsor House and tour the Bridal Suite, please contact us.